1960's heartthrob Davy Jones, one of the singers who helped fuel the made-for-TV rock band The Monkees to the top of the pop charts, died Wednesday at the age of 66. Jones died of a heart attack in Indiantown, where he had lived. Jones complained of breathing troubles early in the morning and was taken to a hospital where he was pronounced dead, said Rhonda Irons of the Martin County Sheriff's Office. The sheriff's spokeswoman said there were no suspicious circumstances. 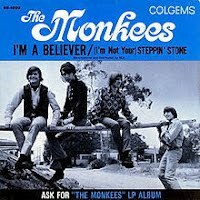 As part of their coverage of the death of Davy Jones, Billboard magazine has published their list of the Monkees' ten biggest hits. The hits are based on each song's weekly chart position with a reverse point system (number 1 receiving 100 points to number 100 receiving 1 point). 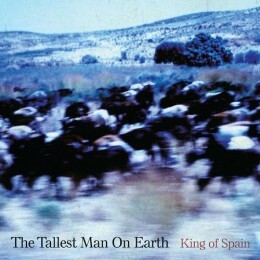 The Tallest Man on Earth are going to release of The Wild Hunt single “King of Spain” for the first time ever on vinyl, complete with a pair of B-sides “Graceland,” a cover of the title track off Paul Simon’s seminal 1986 LP, and the Tallest Man original rarity “Where I Thought I Met the Angels.” The 12" single is strictly limited to just 2,000 copies for Record Store Day, this year on April 21st . Zulu Winter are scheduled to release their highly anticipated debut album on called 'Language' via Play It Again Sam Recordings on May 14th. ‘The effort will be released on CD, vinyl and available to download and was produced by Tom Morris at 4AD’s studio in Wandsworth and Miloco Pool Studio, South London. 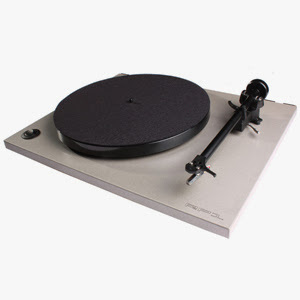 It was mixed by Claudius Mittendorfer (Interpol, The Vaccines, Glasvegas) in New York. Formed last year, the Zulu Winter line up of Will Daunt (vocals & guitar), Iain Lock (bass), Dom Millard (keyboards), Henry Walton (guitar) and Guy Henderson (drums) have only played a handful of UK shows, but have already been tipped by NME, The Fly and Q Magazine, picked up support from International music blog Altered Zones and have had widespread radio play from the likes of Steve Lamacq, Huw Stephens and XFM. They will play at this year’s South By South West in Austin TX, USA where the band has recently inked a deal with the Arts & Crafts label, home to Feist, Broken Social Scene & Phoenix amongst others. 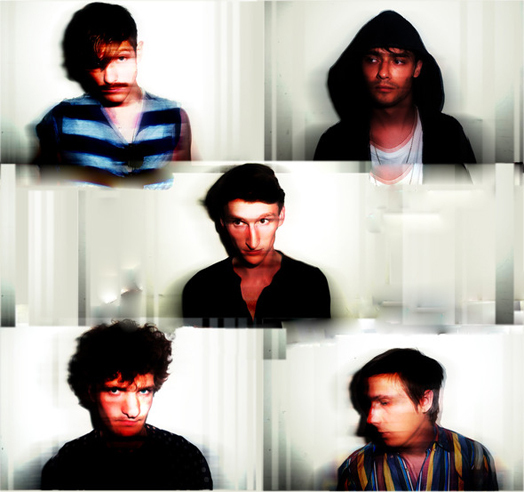 They then head to New York for their debut shows in the city with Bon Iver side project Polica at Mercury Lounge and at Brooklyn’s Glasslands with XL’s new signing Willis Earl Beal, before heading to Australia for dates in Melbourne and Sydney. 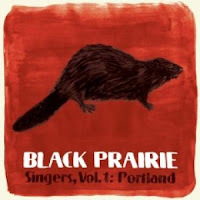 Sugar Hill Records has just announced the release of 'Singers, Volume 1: Portland,' a limited edition 7-inch vinyl record from Portland, Oregon-based Black Prairie in celebration of Record Store Day – April 21st, 2012. When Black Prairie formed, part of their vision was to become a backing band for singers. 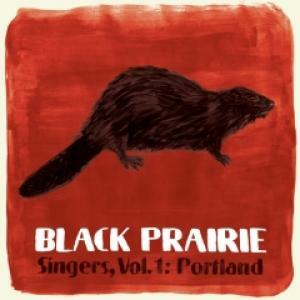 To quote dobroist Chris Funk, “As Dylan nor Neil Young have yet to make that call into the home office,” Black Prairie decided to surge forward with their own series of EPs, backing singers from different parts of the country and different walks of musical life. The first will focus on singers who call the city of Portland, Oregon home, kicking off with tracks from James Mercer (Shins/Broken Bells) and Sallie Ford (Sallie Ford & The Sound Outside), which will each comprise a side on the 7-inch Record Store Day release. The full EP, set for release in the spring, will feature Langhorne Slim, The Minus 5, folk legend Michael Hurley, Caleb Klauder from The Foghorn String Band and Luzelena Mendoza from Y La Bamba. Following the Singers project, the band has plans to release a full-length LP, their second for the Sugar Hill label, in the fall of 2012. Grammy-nominated producer Tucker Martine is at the helm and the LP will feature more gorgeous vocals from Annalisa Tornfelt as well as full drums and a few surprise guests. Mark it on your calendars, the deluxe edition of the debut Mos Genrator album, featuring a full length LP, a CD with previously unreleased tracks and a full incendiary live concert, and a digital download of further live, demo, and jam tracks will be available throughout North America on April 10th, 2012! In conjunction with Nail Distribution, Ripple Music is proud to announce that this quintessential debut album and amazing musical package will now be available to a wider market of insatiable rock n’ roll fans. Featuring over two and a half hours of music, the Mos Generator 10th Anniversary Edition was designed with the music fan in mind. 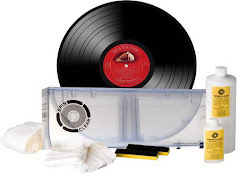 The package includes three popular formats for listening to the bands 70’s-inspired hard rock in the way of 12” vinyl, CD, and digital download, and all packaged in an eye-popping 12” gatefold jacket. NEWPORT, R.I., March 1, 2012 /PRNewswire/ -- The Newport Festivals Foundation continues to celebrate the festival's historic past by featuring emerging young artists alongside some of folk music's most venerable names. This year's festival features: My Morning Jacket, Jackson Browne, Conor Oberst, Iron & Wine, Patty Griffin, Guthrie Family Reunion, Dawes, The Head & The Heart, Deer Tick, Punch Brothers, City & Colour, Preservation Hall Jazz Band, The Tallest Man on Earth, tUnE-yArDs, Tom Morello, Trampled by Turtles, Gary Clark, Jr., Alabama Shakes, Blind Pilot, Of Monsters and Men, original music from: Jay Farrar; Will Johnson; Anders Parker; & Yim Yames set to the lyrics of Woody Guthrie, Sharon Van Etten, First Aid Kit, Sara Watkins, Charles Bradley & His Extraordinaires, Brown Bird, Jonny Corndawg, Jonathan Wilson, Spirit Family Reunion, Deep Dark Woods, Carl Broemel, Ben Sollee, Robert Ellis, Frank Fairfield, The Apache Relay, Spider John Koerner & His Rag Tag Boys, Joel Rafael, Joe Fletcher & The Wrong Reasons, Elizabeth Mitchell, honeyhoney, Sleepy Man Banjo Boys, The Kossoy Sisters, The Berklee City Music Choir and very special guests to be announced. "There's nothing better than knowing that there are thousands of people who love the Newport Folk Festival as much as we do and they want to see it live for years to come," said Jay Sweet, festival producer. "Our Folk Family proved it last year and they are proving it again as we listen to and read the many wonderful comments from people who have already planned to attend the festival even before this announcement. We are extremely humbled to have the support of the fans and the artists who help to make Newport the best place in the world for our annual Newport Folk Festival Family Reunion." "I, too, was overwhelmed by the tremendous showing of love from the festival's fans. Not only did they turn out in full force to hear the music, selling out both days, they also contributed to the legacy of the festival by supporting a benefit for the Newport Festivals Foundation," added George Wein, CEO of Newport Festivals Foundation (www.newportfestivalsfoundation.org). The Newport Folk Festival welcomes the return of Alex and Ani as sponsor of the Harbor Stage. Alex and Ani offers eco-friendly, positive energy infused products that adorn the body, enlighten the mind, and empower the spirit, designed by Carolyn Rafaelian and Made in America with love. Tickets for the Newport Folk Festival go on sale worldwide Thursday, March 1, at 10:00 am at www.newportfolkfest.net and www.ticketmaster.com, by phone and by mail. For more information, log on to (401) 848-5055. In 1941, the first FM Radio station opened in Nashville, TN. In 1952, Faron Young had his first recording session for Capitol. In 1952, Sam Phillips launched Sun Records by releasing "Drivin' Slow" by 16-year-old saxophonist Johnny London. In 1956, the Fats Domino album 'Rock and Rollin' With Fats Domino' was released on the Imperial Label. 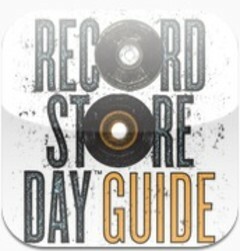 In 1957, Chuck Berry released "School Days" on Chess Records. It became his biggest hit to date. 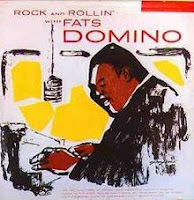 It is one of his best known songs and is often considered a rock and roll anthem. In 1957, the Everly Brothers record "Bye Bye Love", a teen-age love song that was written by 37 year old Boudleaux Bryant and his 31 year old wife, Felice. Although nearly 30 other artists turned the song down, the Everly's version will rise to #2 in the US and #6 in the UK by next May. In 1958, Buddy Holly and the Crickets began their only UK tour, playing two sets each evening for 25 nights. In 1961, Elvis Presley signed a five-year movie deal with producer Hal Wallis. In 1958, Johnny Mathis released the album "Johnny's Greatest Hits." In 1963, Gerry and the Pacemakers release their first British single, "How Do You Do It", which will go on to top the UK chart the following April. The song had been turned down by Adam Faith and although the Beatles had recorded it, they declined to release their version. 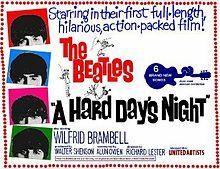 In 1964, the Beatles start working on their first film, 'A Hard Day's Night,' shooting the first scene at Marylebone train station in London. They also hold the top two spots on Billboard's Hot 100 with "I Want to Hold Your Hand" and "She Loves You". In 1965, after selling over 3 million copies in the US alone, Petula Clark's "Downtown" was awarded a Gold record. 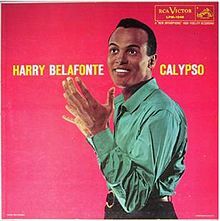 The song, which had been recorded in four different languages, was a success in a dozen other countries and was inducted into The Grammy Hall Of Fame in 2003. In 1966, Gene Clark of the Byrds announced he was leaving the group due to his chronic fear of flying. 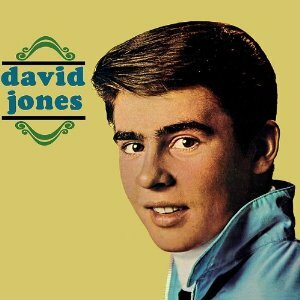 He had also had some problems getting along with Roger McGuinn. In 1967, an L.A. garage band called the Seeds help to bring psychedelic music to American A.M. radio when their only hit, "Pushin' Too Hard" climbed into the US top 40. In 1967, working at Abbey Road studios, London, the Beatles started recording a new John Lennon song "Lucy in the Sky with Diamonds." 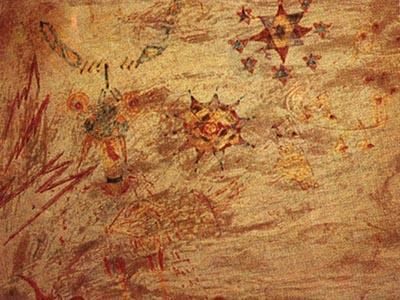 Lennon's son, Julian, inspired the song with a nursery school drawing he called "Lucy — in the sky with diamonds." The picture, which was of a little girl with lots of stars, was his classmate - Lucy O’Donnell, who also lived in Weybridge, and attended the same school as Julian. Shortly after the song's release, speculation arose that the first letter of each of the title's nouns intentionally spelled LSD. Although Lennon denied this, the BBC banned the song. In a 2004 interview, Paul McCartney said that the song is about LSD, stating, "A song like 'Got to Get You Into My Life,' that's directly about pot, although everyone missed it at the time." "Day Tripper," he says, "that's one about acid. 'Lucy in the Sky,' that's pretty obvious. There's others that make subtle hints about drugs, but, you know, it's easy to overestimate the influence of drugs on the Beatles' music. 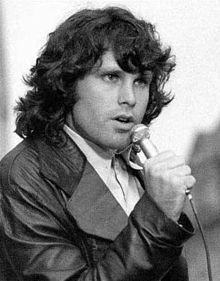 In 1969, in Miami, Doors frontman Jim Morrison was arrested on stage for allegedly exposing himself to the audience during the band's show at the Coconut Grove Auditorium. The singer was later tried, convicted and sentenced to eight months of hard labor, a sentence his lawyers were still appealing when Morrison died in 1971. Though no doubt drunk, disinterested, and verbally taunting the audience, it is now generally believed that Morrison was innocent of the major charge. In 1970, Mott The Hoople supported by Genesis appeared at The Northcote Arms, Middlesex, England. Also in 1970, the Beatles made their final appearance on CBS-TV's "The Ed Sullivan Show" by way of video tape clips of their new songs "Let It Be" and "Two Of Us." In 1970, the Charles Manson album 'Lie' was released. The profits went to Manson's defense. In 1972 - John Lennon was granted an extension on his American work visa. Lennon then began recording "Sometime in New York City." In 1973, Pink Floyd released their eighth studio album, "The Dark Side of the Moon." The Dark Side of the Moon was an immediate success, topping the Billboard Top LPs & Tapes chart for one week. It subsequently remained in the charts for 741 weeks from 1973 to 1988, longer than any other album in history. With an estimated 50 million copies sold, it is Pink Floyd's most commercially successful album and one of the best-selling albums worldwide. 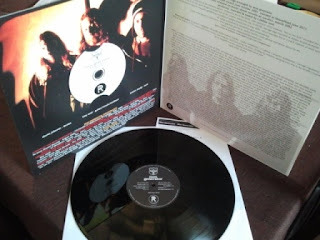 It has twice been remastered and re-released, and has been covered in its entirety by several other acts. It spawned two singles, "Money" and "Time." 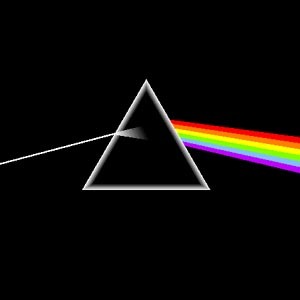 In addition to its commercial success, 'The Dark Side of the Moon' is one of Pink Floyd's most popular albums among fans and critics, and is frequently ranked as one of the greatest rock albums of all time. In 1975, Olivia Newton John wins Grammy Awards for Best Female Pop Vocal Performance as well as Record of the Year for "I Honestly Love You". The Album of the Year honors go to Stevie Wonder for "Fulfillingness' First Finale" (he also wins Best Male Pop Vocal Performance). The Song Of The Year is "The Way We Were". In 1977, Sara Lowndes Dylan files for divorce from her husband of eleven years, Bob Dylan. The divorce is granted in June and she is given custody of their 5 kids and possession of their million-dollar home. Sara was the subject of such songs as "Sad-Eyed Lady of the Lowlands", "Lay Lady Lay" and "Sara". In 1977, Manfred Mann gets their first Gold record for "Blinded by the Light," a song written by Bruce Springsteen. It was their first US number one record since "Do Wah Diddy Diddy", thirteen years earlier. In 1982, Jimmy Page's first solo LP was released. It was the soundtrack to Death Wish II. In 1984, 30 year old Cyndi Lauper makes her US television debut when she appears on Johnny Carson's Tonight Show, performing her current #3 hit, "Girls Just Want To Have Fun". In 1986, Mr Mister started a two week run at #1 on the US singles chart with 'Kyrie', the group's second US #1, a No.11 hit in the UK. Also the group's album 'Welcome To The Real World' went to #1 on the US album chart. In 1989, R.E.M. kicked off the US leg of the 'Green World Tour', in Louisville, Kentucky. In 1989, Madonna started a $5 million, (£2.9m) sponsorship deal with Pepsi Cola. 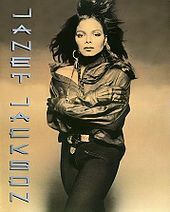 In 1990, Janet Jackson played the first night on her 120-date Rhythm Nation 1814 World tour at the Miami Arena in Florida. As part of the show Jackson's had a live panther on-stage, but after concerns were raised over safety of the crowds and several incidents of the panther urinating on the stage Jackson axed the cat from the show in the summer leg of the tour. In 1991, Frank Smith from Air Supply died of pneumonia in Melbourne, Australia. (1980 UK #11 single 'All Out Of Love', 1981 US #1 single 'The One That You Love'). In 1991, 'The Doors' movie debuted. Val Kilmer played the role of Jim Morrison. In 1994, Aretha Franklin receives a Lifetime Achievement award and Whitney Houston wins Record Of The Year and Best Pop Vocal Performance - Female for "I Will Always Love You" at the 36th Grammy Awards in New York. Accepting his Living Legend honor, Frank Sinatra is un-ceremoniously interrupted by the house orchestra taking the TV broadcast to a commercial break. In 1995, Eric Clapton wins his ninth Grammy, winning Best Traditional Blues Album for "From The Cradle". Sheryl Crow is presented with Record Of The Year and Best Pop Vocal Performance - Female for "All I Wanna Do". In 1995, in Switzerland, Bill Berry (R.E.M) suffered a brain aneurysm while performing on stage. Also in 1995, Bruce Springsteen's 'Streets of Philadelphia' won three Grammys for Song of the Year, Best Male Vocal Performance and Best Rock Song. In 1997, 'Bowie Bonds' were issued on the US Stock Exchange. Linked to David Bowie's back catalogue albums with money earned on the bonds via interest from royalties, investors could expect to make an 8% profit in about 10 years. In 2005, Chris Curtis, drummer with the Searchers died aged 63 after a long illness. 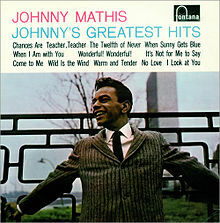 (1964 UK #1 single 'Needles And Pins', 1964 US #3 single "Love Potion Number Nine"). In 2005, Nelly featuring Tim McGraw were at #1 on the UK singles chart with 'Over And Over', the 3rd #1 for Nelly, and the first for Grammy Award-winning Country music singer Tim McGraw.